WIN VIP Hospitality tickets to Olympia with SEIB Insurance Brokers – The grand finale of the equestrian year, the London International Horse Show at Olympia is a truly festive occasion. Enjoy all the action in the main arena including the SEIB British Riding Clubs Quadrille of the Year as the finalists put on their best performance, plus VIP hospitality throughout the day. One lucky winner will receive two VIP tickets for Sunday 21st December including entrance to the Grand Hall, shopping village and gallery level, lunch, complimentary programme and use of our private box for the duration of the performance as guests of SEIB. To enter this fantastic competition please visit www.seib.co.uk/Olympia. Or Facebook at www.facebook.com/seibltd. Entries close on Wednesday 10th December. The winner will be announced on Thursday 11th December on the SEIB Insurance Brokers social media channels. Terms and Conditions apply. 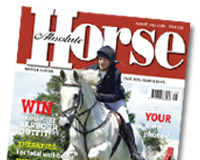 The event takes place at Addington Manor Equestrian Centre in Buckinghamshire on March 7th and the last day to buy your tickets at early bird prices is December 30, 2014. The day will include Savvy Team demonstrations, developing horses with a variety of problems or issues, to learning more about Horsenality and so much more. 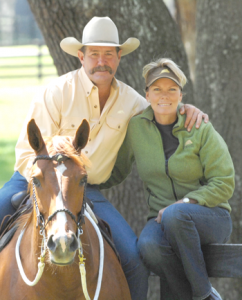 Spending time with like-minded people throughout the day will also prove inspiring with Parelli Natural Horsemanship based on understanding horse nature and psychology to enable anyone at any level, whether you are a beginner or international competitor, to have fun with horses and achieve amazing results naturally. Parelli Natural Horsemanship is the world’s most popular horsemanship education programme with the goal to help raise the level of horsemanship for the benefit of horses and the people who love them. By practicing the Parelli programme, horsemen and women of all disciplines and skill levels are able to build solid, reliable foundations with their horses. Tickets are priced from £39 to £99. Anyone buying 10 tickets in one transaction will receive one free. 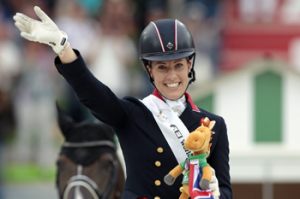 Following another record breaking season of success, dressage star, Charlotte Dujardin, has been nominated as one of the 10 finalists for the 2014 BBC Sports Personality of the Year Award. The winner will be announced during a televised live awards show on Sunday, 14th December 2014. Dujardin, last week crowned The Sunday Times Sky Sports Sportswoman of the Year, is currently the reigning Olympic, European and World Champion, the first time a British rider has simultaneously held these three titles. Charlotte’s outstanding achievements along with her bubbly personality make her a wonderful ambassador for the horse world, for dressage and for Absorbine horse care and grooming products, one of her main sponsors. “I’m thrilled to be nominated for Sports Personality of the Year 2014 and especially being in the company of such incredible athletes. To be nominated for my achievements in this way is also thanks to the team we have behind us supporting our careers and I couldn’t be more grateful to the team at Absorbine for being such great sponsors and friends”, said Charlotte. Chris Jacobi, General Manager, Equine Division at Absorbine said, “We are just delighted with this latest news from our sponsored rider. It goes to show how far you can get through determination and hard work which are traits we value very highly at Absorbine. We look forward to voting for Charlotte on the 14th December and continuing our support of her through next season”. To vote for Charlotte in the BBC Sports Personality of the Year Awards on the 14th December it is necessary to register before the event. Please go to http://www.bbc.co.uk/sport/0/sports-personality/30172271. Phone votes can just ring in on the night. Some exciting developments have taken place involving two Championships at Horse of the Year. The Ladies’ Hunter of the Year and Ridden Partbred Pony of the Year Championships will include changes allowing a greater number of competitors to aim for glory at HOYS. The Ladies’ Hunter of the Year Championship will become the Ladies’ Side Saddle Horse of the Year Championship. From 2015, this final will be open to hacks, cobs and riding horses, as well as hunters, ridden side saddle by a lady. To reflect this, the final will renamed the Ladies’ Side Saddle Horse of the Year Championship. The aim of this move is to encourage greater participation in the class and to make it appeal to a wider audience.